Exterior Description: Building Description Designed by Welton Beckett Associates, the 909 Poydras Tower has a striking exterior of vertical bands of mahogany-colored, frame finished granite alternating with bronze-tinted glass. The design includes three deliberate step backs (floors 10, 31 and 35), culminating in a distinguishing pyramidal rooftop. The building is framed by a colonnade of oak trees accented by a bronze statue of David. The standing male figure with his proper left arm holding a slingshot and stone was designed by New Orleans artist Enrique Alferez.. Interior Description: The lobby is a composition of quality finishes in studied shapes and patterns. Custom carpets are inserted into mosaic marble floors, contrasting with the granite walls, all highlighted by a grand chandelier that also illuminates the coffered ceilings and soft pastel frescoes. 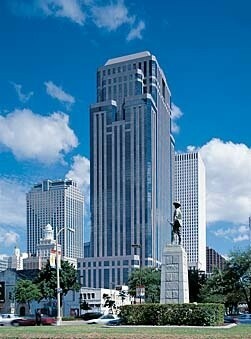 Bring your business to the best address in town, 909 Poydras Center. We are committed to investing the time to provide our clients with the appropriate space and work environment to achieve their overall business goals and objectives. Let our leasing professionals show you how easy it is to move your business in today! 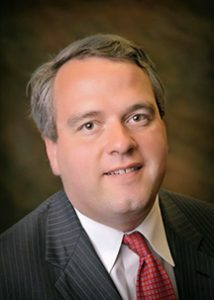 Broker of Record, Beau J. Box; Licensed by the Louisiana Real Estate Commission, Mississippi Real Estate Commission and Alabama Real Estate Commission, USA.